Sometimes, when looking at a sea of Typography – it’s nice to take a break from insightful quotes and vague one word brush pen doodles of encouragement. In the same sense of spark as Seb Lester’s Hilariously Offensive Calligraphy comes a new set of greeting cards that are just as equally entertaining as the last. 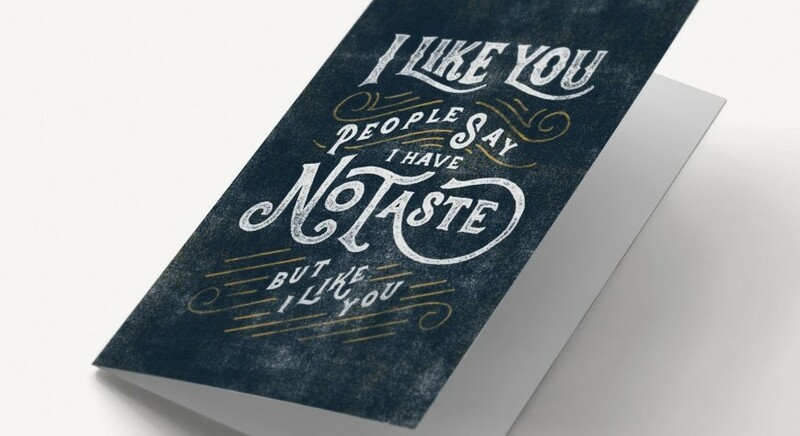 Ugly Notes are really delightful and quirky greeting cards by a collective of designers from all over. If you’re anything like us, you’re a horrible person. But you’re the kind of horrible person who appreciates honesty, which is what we have to offer. We’re a ragtag group of designers and pessimists creating a collection of greeting cards that express what you’re really thinking. We can’t wait to see where this goes! Have you been inspired as well? You can let us know by leaving a comment below.